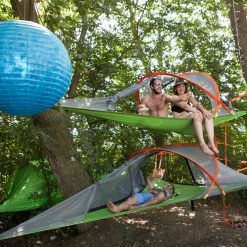 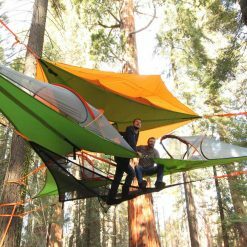 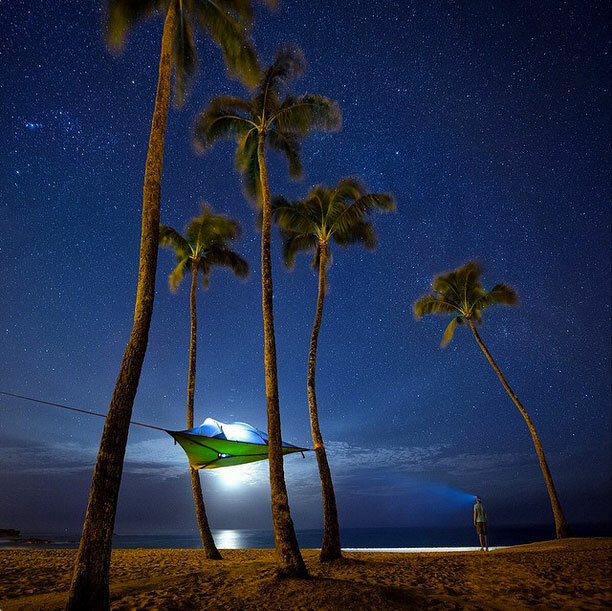 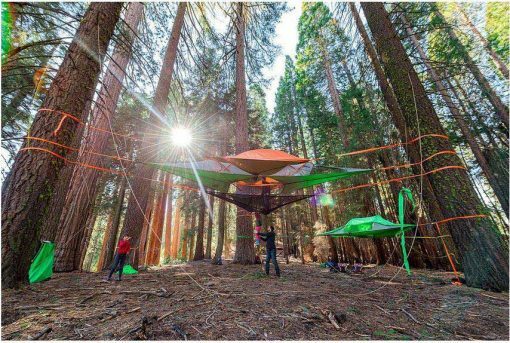 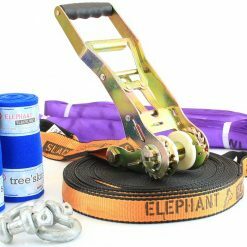 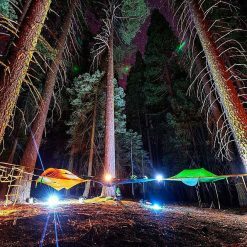 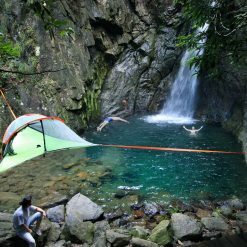 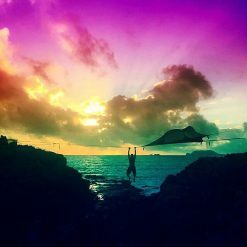 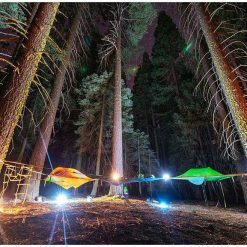 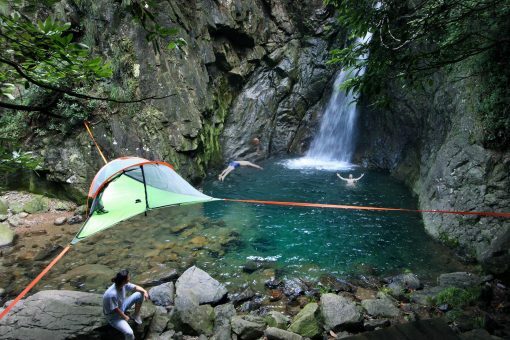 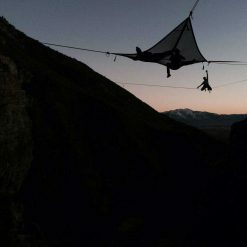 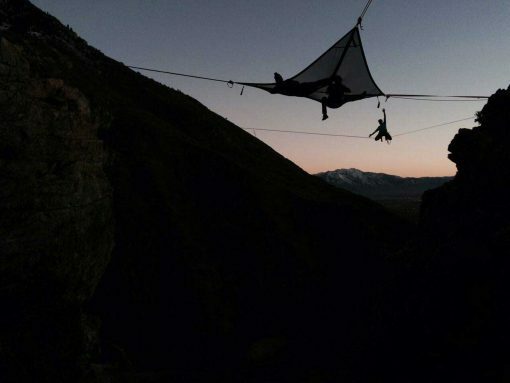 The Slackline Tree Tent is a 2 person (can sleep 3 by adding a hammock beneath) tree tent also known as a portable treehouse. 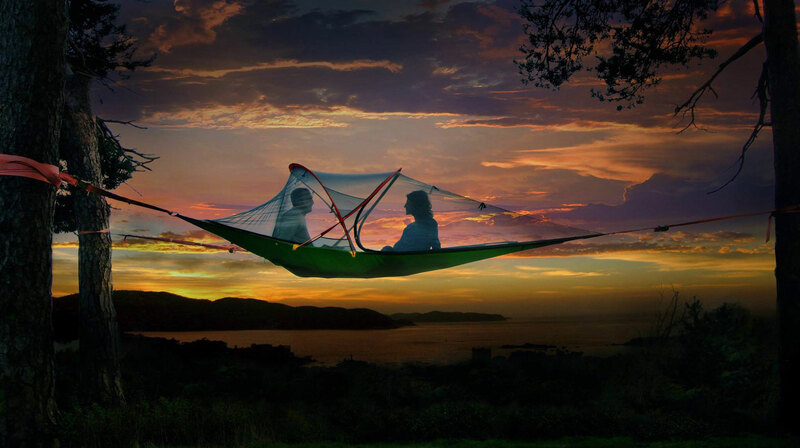 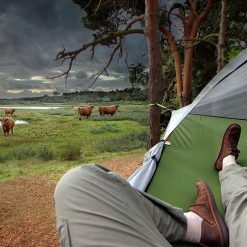 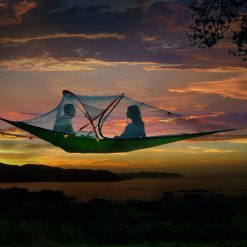 They come with a removable fly sheet (available in a choice of 5 colours), and offers you and your partner the chance to connect with New Zealands nature like never before. 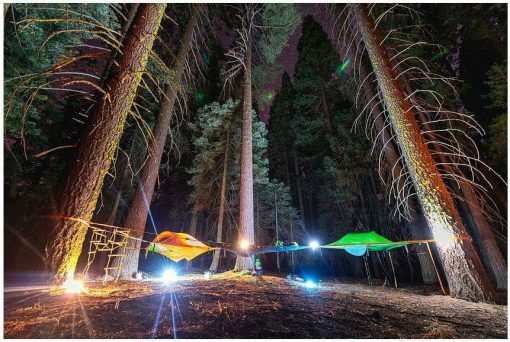 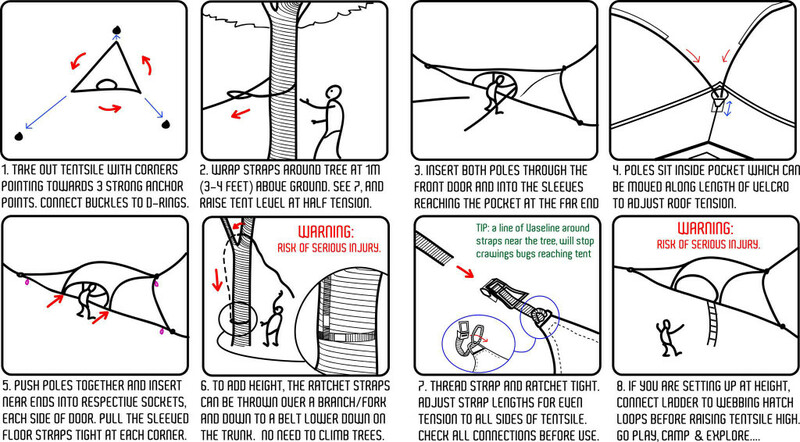 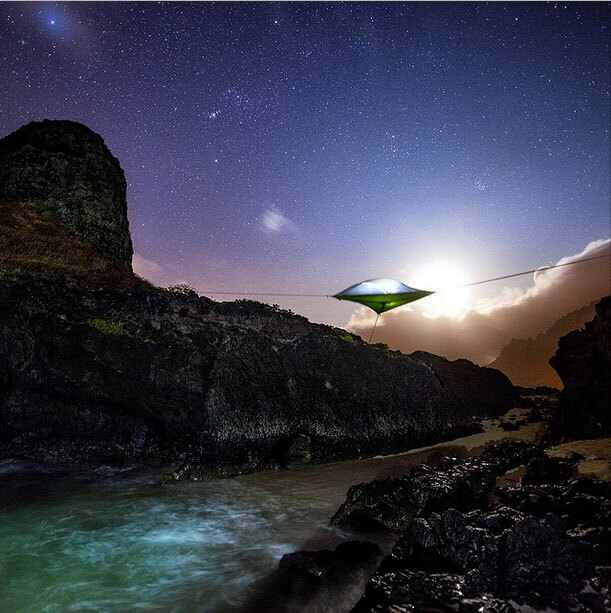 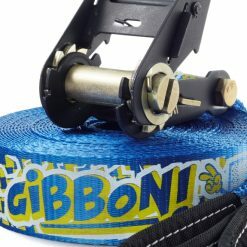 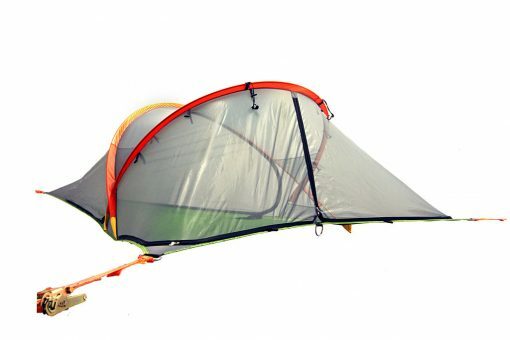 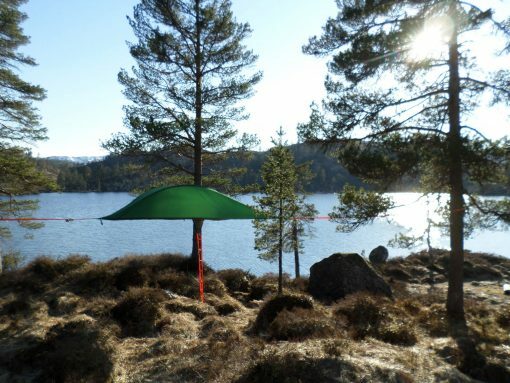 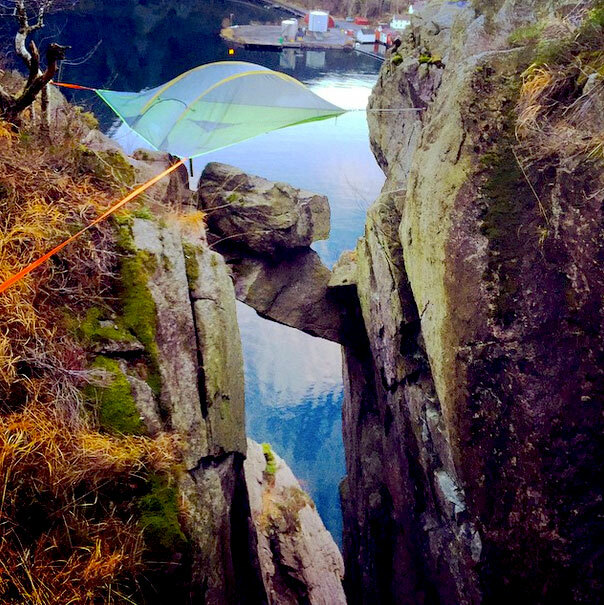 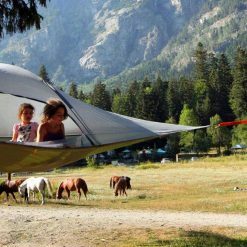 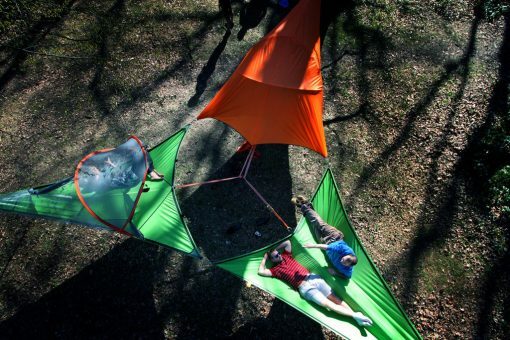 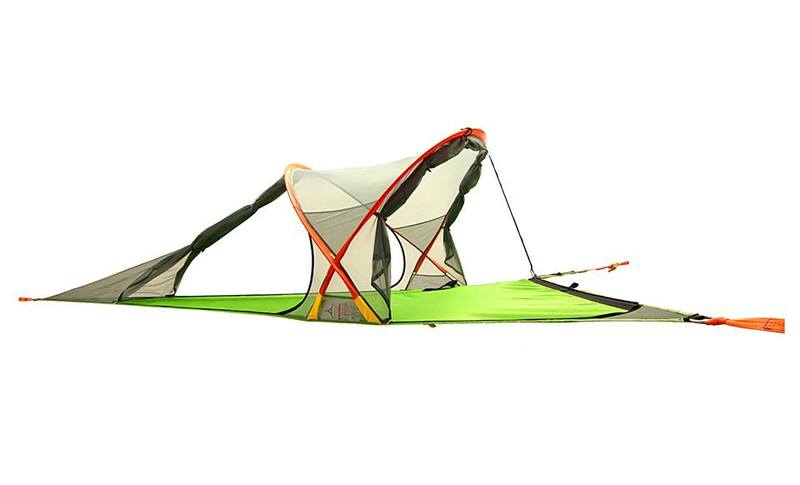 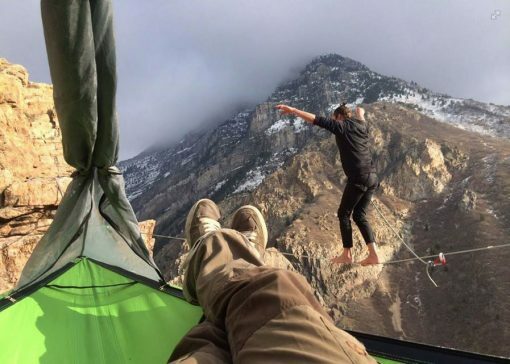 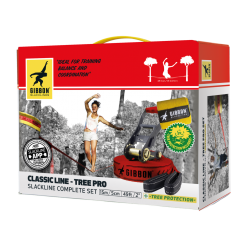 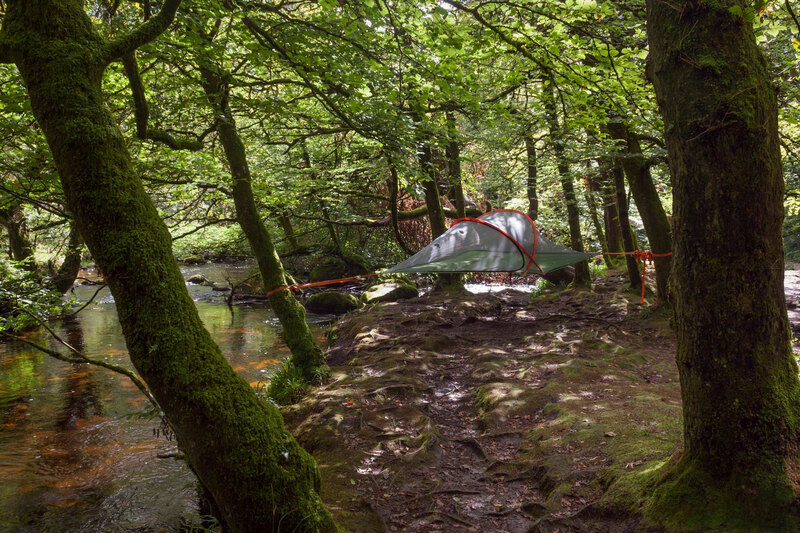 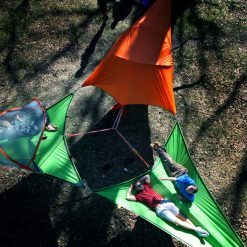 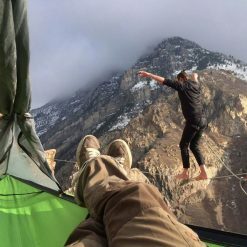 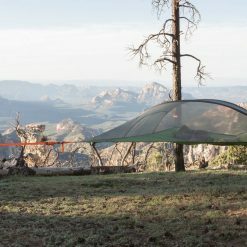 This Slackline Tree Tent also clips to other Slackline Tree Tents. 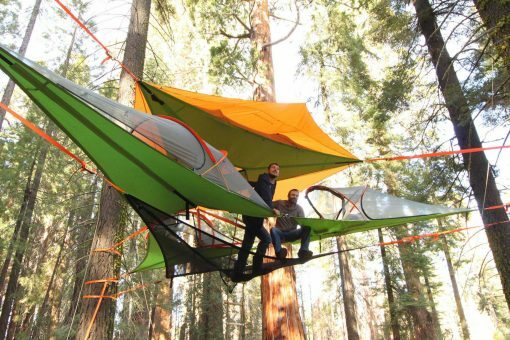 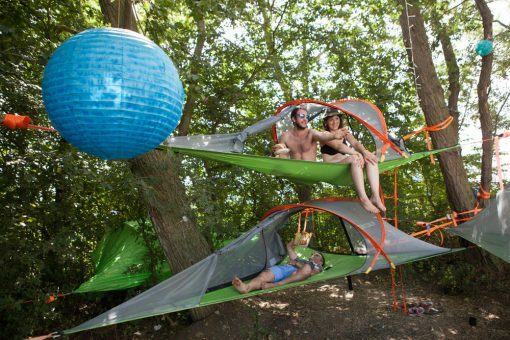 This Treehouse hammock has a Connect tent system to create suspended super-camps of 3 or more tents. This way you can add a sheltered central communal space and conquer the forest canopy. 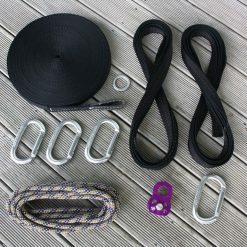 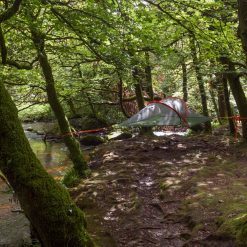 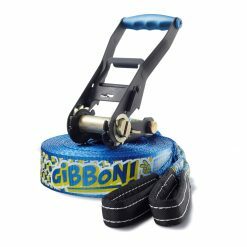 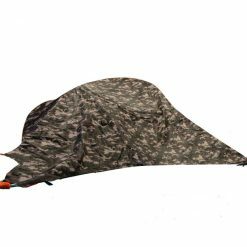 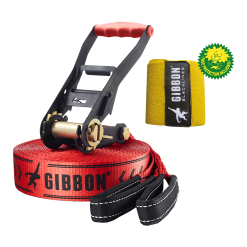 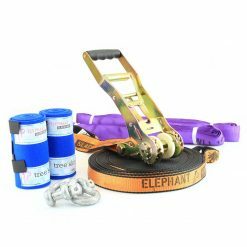 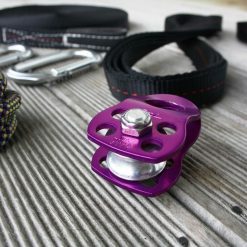 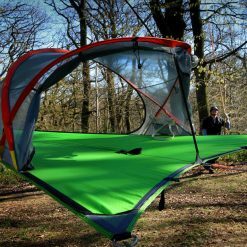 Lighter, cheaper, modular, versatile and truly, this really is the best piece of equipment for any wild camping. 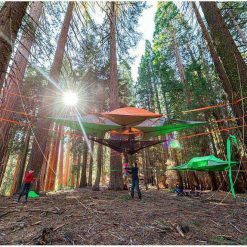 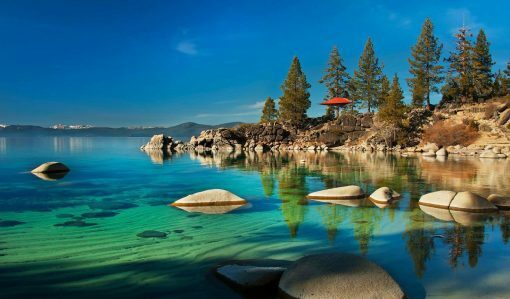 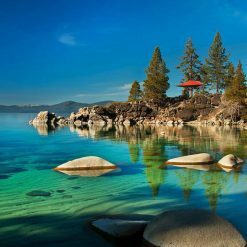 It can be suspended between 3 trees or other large objects like columns, trucks or boulders. 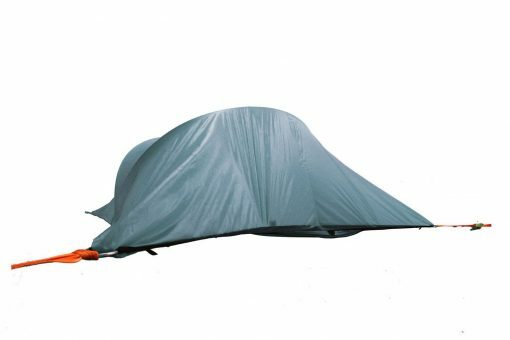 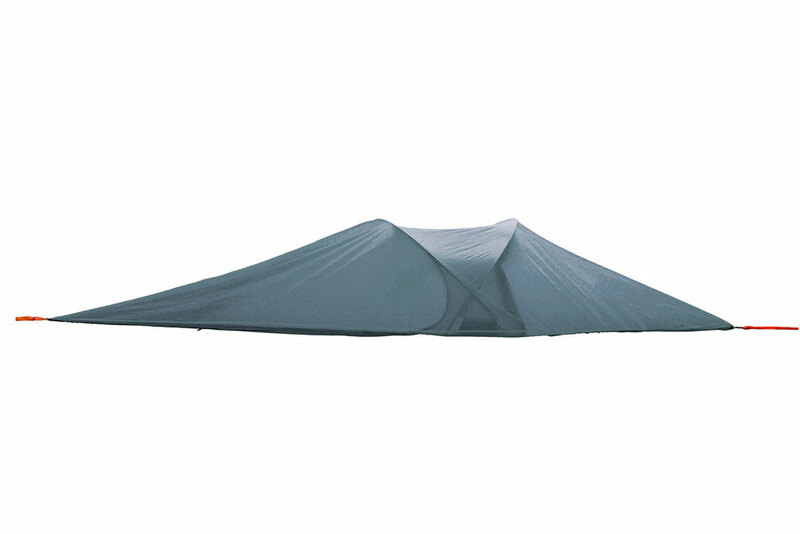 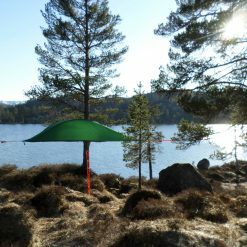 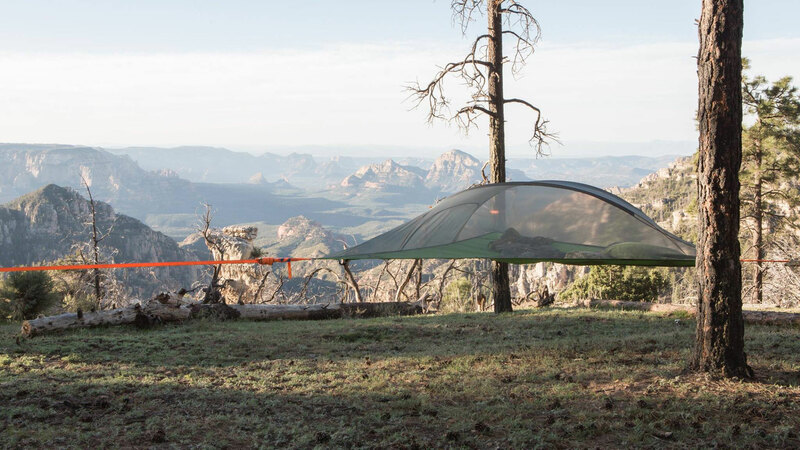 If features a full insect mesh top (with 4 doors ), a removable flysheet for unbeatable views and the rainfly can be pegged outwards to the ground, creating a large 9sqm covered porch area to become a multi-story camping base! 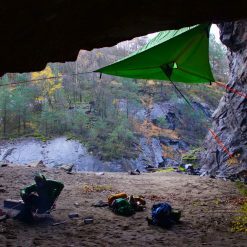 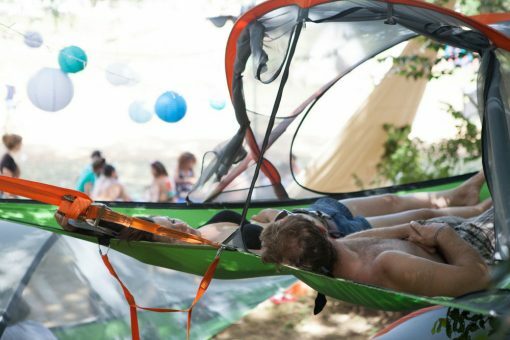 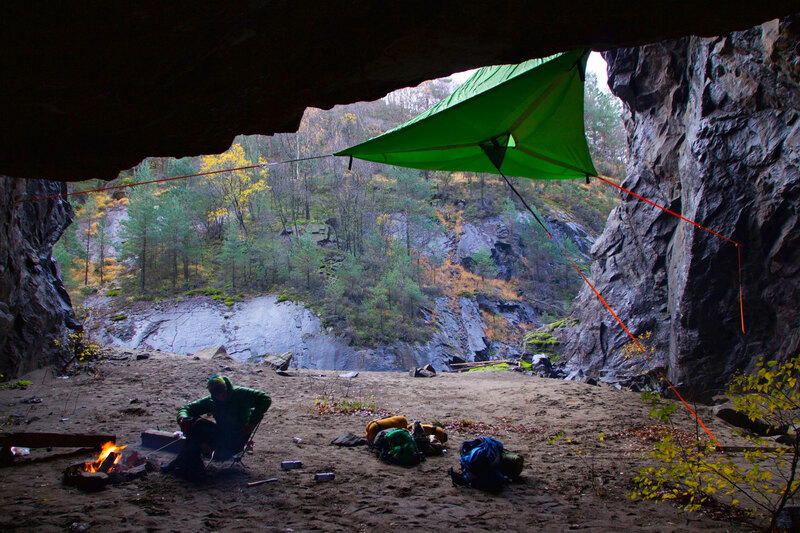 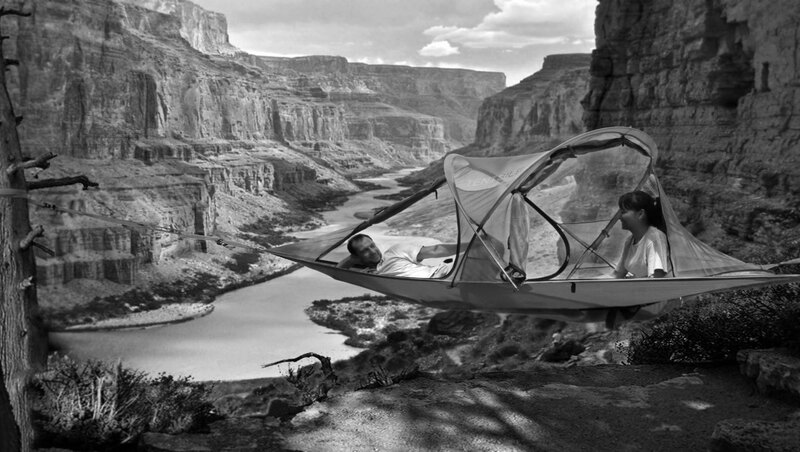 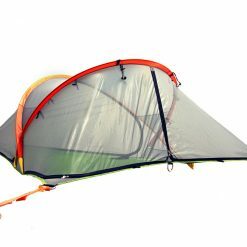 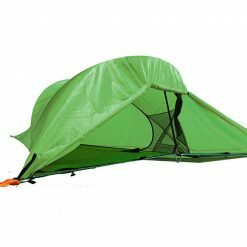 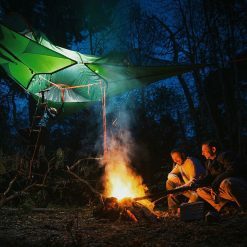 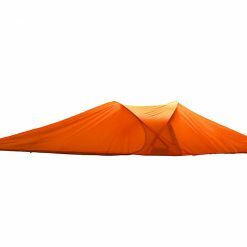 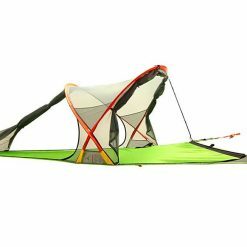 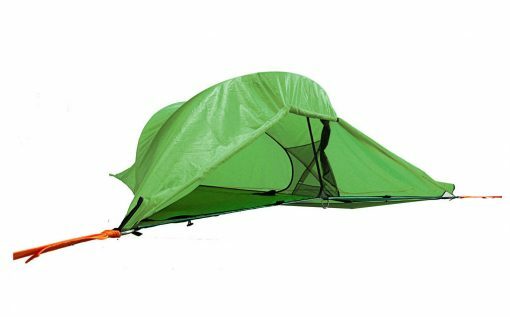 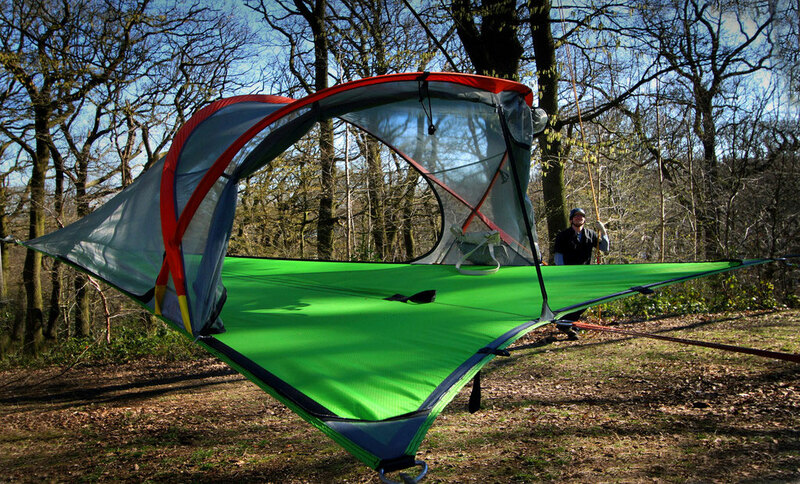 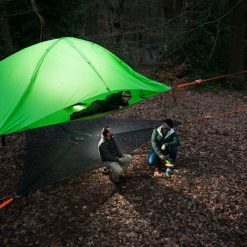 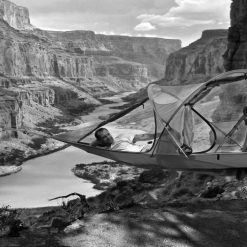 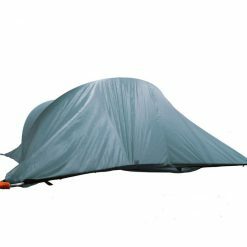 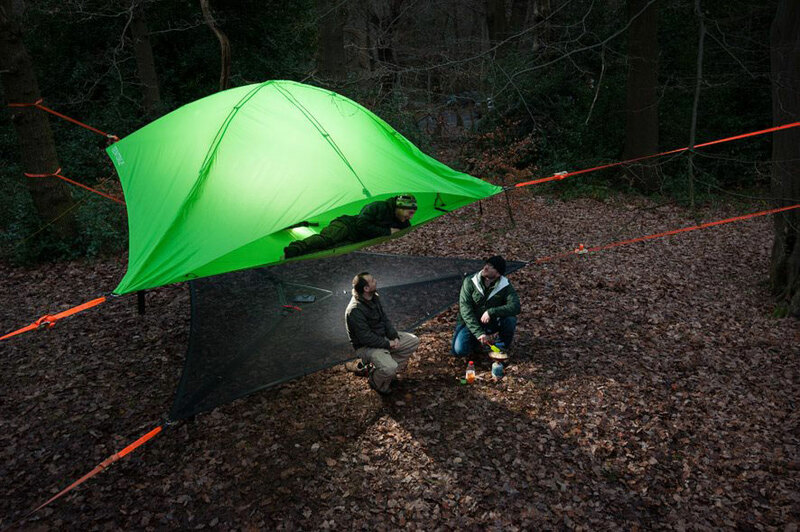 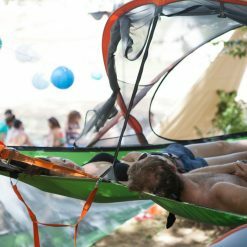 The flysheet flaps can also be folded under the tent and hooked to each other, creating a 2nd wind break and an 8cm thermal buffer of air to the underside of each hammock. 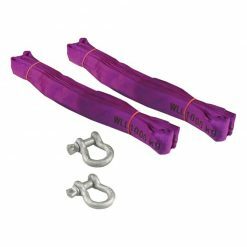 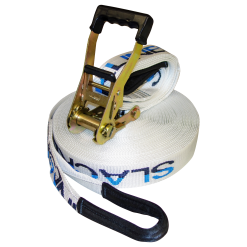 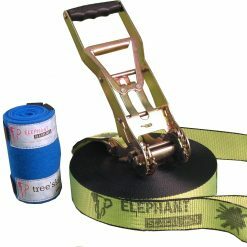 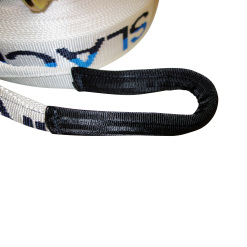 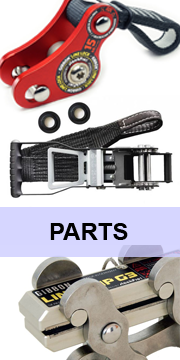 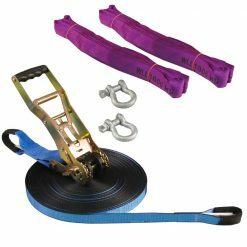 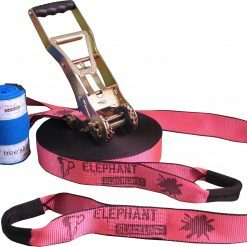 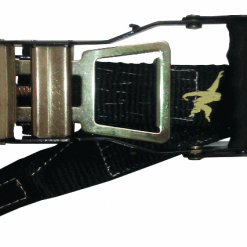 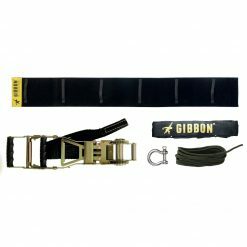 Click to see how to use a ratchet strap.